Did you know that the average appointment with a traditional physician is approximately 8 minutes long? It’s true, and if you’re like most Americans, then 8 minutes is not nearly enough time to receive personalized care that truly addresses your needs. Moreover, you’re probably used to waiting anywhere from a week to 10 days before you can even meet with your primary care provider! At Ozark Holistic Center, we know that the traditional health care system often leaves you with more questions than answers, and we’ve developed a plan that can help you access the care you need, whenever you need it. We proudly offer the OHC wellness program that provides you with long-term, individualized, preventive wellness care you deserve at a price you can afford. Continue reading below to learn more about how Ozark Holistic Center’s wellness program can benefit you and your family, and get in touch with us through this page if you would like to get started with a membership. $110 per month = two 15 minute visits per month (or a single 30 minute visit), any additional 15 minute visits will be $55.00 each (or $110 for a 30 min visit), any additional family members will get the $55.00 rate unless they are a new patient and they will be charged a new patient rate on their first visit. You can read more detailed information about the benefits and advantages of enrolling in a wellness program below! You can also reach out to us through this page if you would like to request any additional information about the services we offer. Wellness care is all about prevention and reaching our optimal potential. While most care typically focuses on a problem when it arises, wellness care is about getting ahead of the curve. As the saying goes "the straw that broke the camel's back," we want to be there before that final straw lands on your back. Prevention is key. Furthermore, there is so much more to life than going from one illness to the next, instead wellness care inspires us to reach a little higher, to grasp for our true potential. Through monthly visits and following recommendations our clients can reach that potential. Also, there is a need to speak of wellness as maintenance. You take your car in for tune-ups and oil changes, but what about your body? Isn't that more important. Regular chiropractic and wellness care provides you just that! Want to live life your life with the freedom true health and wellness can bring? Then wellness care is right up your alley and it can save you money to boot! What Are the Benefits of OHC Wellness PRogram? It is no secret that Americans are facing a crisis when it comes to the cost of health care. Between expensive emergency room visits, unexpected tests, and high-deductible insurance plans, it hardly comes as a surprise that many Americans turn to crowdfunding websites or even resort to bankruptcy after a serious illness or injury. All of us want to save money when it comes to health care, and enrolling in our OHC wellness program is one of the best ways to protect your financial well-being. Enrolling in the Ozark Holistic Center’s wellness program provides you access to wellness visits, phone, email, in-person visits, and lab tests at an affordable monthly rate. Instead of going to urgent care and paying an exorbitant amount of money just to see a physician, you can reach out to us at any time and get the answers you need. Navigating the traditional health care system is anything but easy. Think about the last time you paid a bill or had to get in touch with your insurance provider — it is almost always a time-consuming, frustrating process. Between deciphering medical coding and trying to determine which services you were charged for, the simple act of paying for a test or clinical visit can take several days to complete. You will love our OHC wellness package if you are tired of the administrative burdens that are far too common in traditional health care models. Instead of trying to determine if a doctor is in your network, if you have been charged correctly, or if you will need to pay even more for follow-up visits, you will be able to access the care you need, whenever you need it. No hidden fees. No complex codes. No more headaches. When was the last time you got to speak with your physician for an extended period of time? For most Americans, the answer is probably, “I don’t remember.” Many Americans are frustrated by the fact that they cannot develop a genuine relationship with their primary care provider, and we completely understand the dissatisfaction. As we mentioned at the top of the page, the average length of an appointment with a physician is approximately 8 minutes, and you will likely have to wait anywhere from 30 to 40 minutes if the office is running behind. It is not always easy to describe your symptoms and experiences, and you also need to provide your physician with enough time to carefully consider a diagnosis and treatment plan. In the span of 8 minutes, it is unlikely that you are receiving the best possible care. Our wellness program provides you with extended access to our holistic health experts. Because we do not have to rush from patient to patient throughout the day, we can take the time to thoroughly review your complete medical history and get to know you as a person instead of simply as a list of symptoms. Moreover, your appointment will be significantly longer than 8 minutes, and if you need additional care, you can come in the next day or get in touch with us directly. Traditional health care providers will almost always have you speak with a nurse or physician’s assistant should you have questions or concerns, but in our wellness care plan, you will always speak directly to your physician. We believe that this transparency and individualized level of care provides our clients with an experience unlike any other, and we know that you will notice the difference as well. Contemporary technology has made it easier than ever to communicate, but the vast majority of health care providers are still catching up. While almost every American has the ability to communicate via text messaging, email, and various other platforms from a single handheld device, the majority of health care professionals still rely on phone calls and in-person meetings to communicate with their patients. This not only makes it difficult to get in touch with a provider directly, but it also creates one more barrier between you and the care you need. At Ozark Holistic Center, we believe that we should be taking advantage of and embracing the ability to communicate through multiple platforms. If you prefer in-person interactions, then you will love having the ability to schedule both same- and next-day appointments at your convenience. Do you have a non-urgent question that can be answered within a day or two? Send us an email and we will respond with a detailed answer as soon as possible. Would you like to speak with us in a more direct and personal manner than a simple phone call? Schedule a virtual visit and we can speak directly to one another with webcams and video cameras. No matter how you prefer to communicate with us, you will be able to get the answers you need in a timely manner. How often have you walked out of your primary care provider’s office with a prescription in your hand and no concrete answers to be found? We have been there, and we know just how exasperating it can be when nothing seems to be working. You have almost certainly experienced the frustration that comes from being given a prescription and directions to schedule follow-up appointments if the medication does not resolve the issue, or if the side effects create other problems. As holistic health experts, we believe that while prescriptions can be valuable, they should also be used in conjunction with a complete evaluation of an individual’s current and past health history. Our wellness program allows you to obtain lab results at wholesale prices, which can significantly reduce the financial burden that can come from something as simple as a blood panel. We also know that in many cases, supplements can fix underlying deficiencies and help to address fundamental health problems. While purchasing everything you need at your local supplement supplier can quickly become a financial burden on its own, our primary care program allows you to purchase the supplements you need to thrive at affordable, wholesale prices. As professionals who are intimately familiar with both the traditional and holistic health care models, we believe that preventative and holistic health care should be accessible — no matter who you are or how much you can afford to pay. Too many Americans pay far too much — in both time and money — for services that may be only masking problematic symptoms instead of fully addressing them. We have helped ourselves, our families, and our clients find relief from chronic illnesses through our holistic treatments, and we want to extend our dedication and care to even more Fayetteville residents. We will get to you know on a personal, first-name basis, and you can trust that we will work to help you overcome any issues you are facing. No matter what you are going through, you can trust that we will work to help you improve your quality of life. 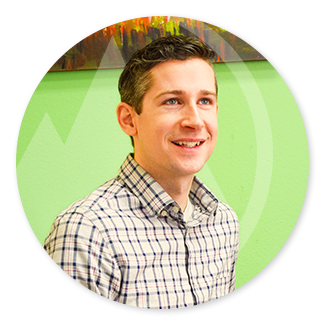 Dr. Quinn is a certified kinesiologist and chiropractic doctor with countless hours of experience in the field of holistic medicine. 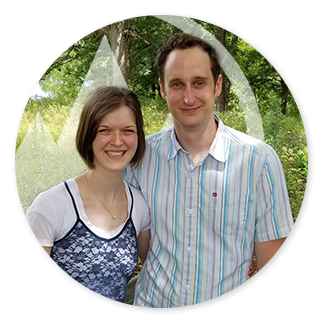 Outside of work, he enjoys spending time with his wife and children, and learning more about holistic healing in order to help his patients overcome illnesses that have decreased their quality of life for far too long. Dr. Quinn was not always the healthy, thriving individual you’ll meet when you come to Ozark Holistic Center. In his early 20s, he began having seizures every day, and doctors, neurologists, and other health professionals were having a difficult time providing him with the answers he needed to recover. His life was permanently changed when he met with an applied kinesiologist who was able to help him change the aspects of his lifestyle that were causing the seizures to occur. Dr. Quinn made a full recovery through nutritional changes, exercise, and other lifestyle factors that would probably not have been addressed in the traditional medical system. This journey provided Dr. Quinn with a profound source of inspiration that he brings to his practice every day, and his drive to help others is evident from the moment you walk through the doors. Schedule an appointment with Dr. Quinn through this page! Dr. Ariciu is an applied kinesiologist and chiropractic physician with more than 300 hours of postgraduate training in nutrition and chronic disease treatment. When he’s not helping his patients overcome lifelong battles with pain and other systemic illnesses, he enjoys reading, weightlifting, and learning even more about how to improve the body and mind through functional medicine. Like many of his patients, Dr. Ariciu struggled with painful and debilitating migraines for years before discovering the power of holistic medicine. He tried various treatments through the traditional medical system, but the endless stream of prescription drugs only served to mask the symptoms of a more fundamental issue: a severe gluten sensitivity. Eliminating gluten from his diet instantly provided him with relief, and he realized that many people just like him are struggling with similar issues. From migraines and thyroid issues to Lyme disease and other serious illnesses, Dr. Ariciu has helped hundreds of people just like you find the relief they’ve been looking for. Schedule an appointment with Dr. Ariciu today!